The nominees include some previous winners, but also a few clunkers. Due to a lack of credible awards shows dedicated to games - ignoring Spike TV's annual atrocity - I often latch on to more prestigious organizations for recognizing excellence in games. The awards handed out by the Writers Guild of America for excellent game writing are a fine start, but after games like Star Wars: The Force Unleashed II and X-Men Origins: Wolverine (the game, mind you) were nominated in previous years, the award loses its trustworthiness. This year is no different, with great franchises represented but also headscratchers like Brink and Mortal Kombat. Really? 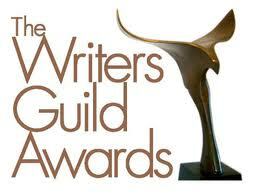 Unlike the BAFTAs which have a whole slew of categories, the Writers Guild of America only recognizes good writing. Even then, the nominees do not accurately reflect the year's achievements in game writing because there are a few restrictions companies must follow to be considered. First, there must be a credited writer for the game. While many game companies haven't previously recognized the contributions of writers to their games, that trend has been reversed of late. It used to be the case that writers had to be paying members of the Writers Guild in order to be eligible, but that is no longer the case, as Micah Wright explained last year. No, the real problem, is that game publishers just don't feel bothered to submit scripts to the WGA for review. BioWare is a notable example, as is Rockstar, for their Dragon Age, Mass Effect and Grand Theft Auto franchises that are not eligible for a Writers Guild award because they simply do not bother. If you'd like to see games like Red Dead Redemption recognized for excellent writing, then please let these companies know that you'd like them to submit their scripts for review. Or you know, maybe we should just give the award to Mortal Kombat.